OMFG! A phone booth!!! Wow. 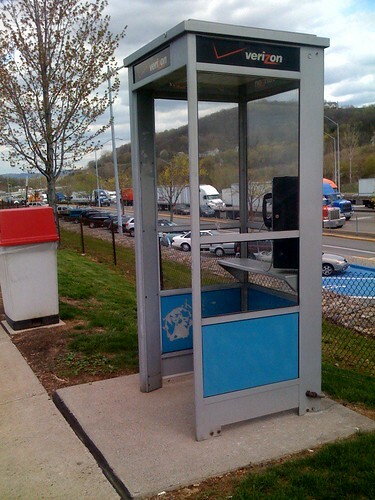 Oh my, is it sad that I’m having nostalgia for a phone booth? My favourite was the one on top of the hill on Le Conte Ave. in Berkeley. I always dreamed of filming a film or TV scene there, but it’s too late, the booth has been removed. Having previously lived in both southwestern Virginia as well as Tennessee, this is a gorgeously wonderful time of year to be in those areas. Have a wonderful time, and get rested. Are you going to short mountain??!! I will be down there next week!!! With my boyfriend!